Conservative author and filmmaker Dinesh D'Souza, whose talk on Gonzaga's campus is controversially closed to the public, has booked another gig in Spokane. 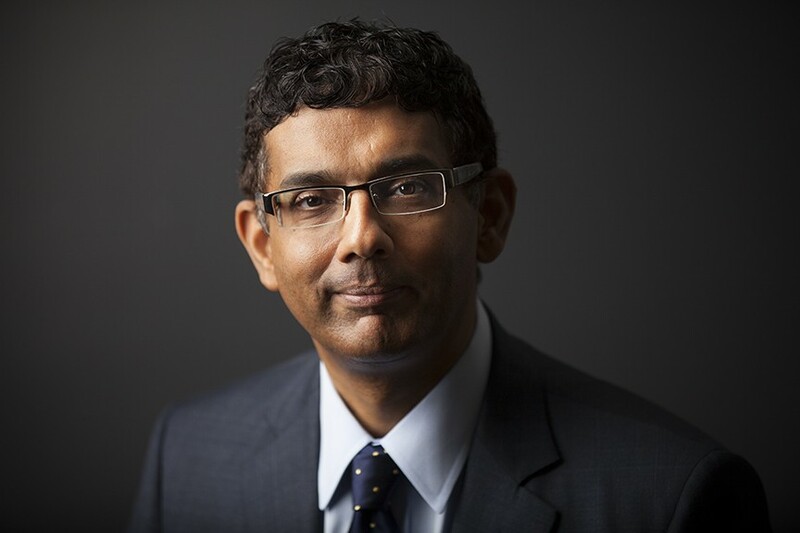 Touting its support of free speech, the Spokane County Republican Party announced that D'Souza will be the keynote speaker at their Lincoln Day Dinner & Fundraiser on April 30 at the Davenport Grand Hotel. Tickets start at $75. Gonzaga College Republicans member Ben Dubois, who helped recruit D'Souza to campus, says administrators told him that D'Souza's talk later this month, on Feb. 24, is only for students because D'Souza is "homophobic and anti-immigrant," and his views "contradict the school's social justice mission." Dubois says he and another College Republican member saw D'Souza speak last summer and thought he had an interesting perspective that other people should hear. D'Souza's $10,000 speaking fee was paid for with the help of an $8,000 donation from Young America's Foundation, a conservative youth organization. D'Souza legally immigrated to the U.S. from India and was a policy analyst for President Ronald Reagan. He's written several books, including What's So Great about America, What's So Great about Christianity and The Roots of Obama's Rage. His latest book Stealing America asks the question: "What do the Democratic Party and a gang of criminals have in common?" according to his website. D'Souza was arrested in 2014 on charges of finance fraud. He was sentenced to eight months in a nightly community confinement center. Spokane GOP Vice Chair Stephanie Cates says she reached out to D'Souza because she "knew he would have a broad appeal with a lot of people in our party." She says bringing D'Souza to Spokane was in the works before Spokane GOP learned he would speak at Gonzaga. While announcing the talk to local party members on Saturday, she added, "Spokane GOP supports free speech." Raymond Reyes, associate academic vice president and chief diversity officer at Gonzaga, says in the more than 3,000 events the university has had on campus since 2013, nearly two-thirds were for students only. But as Dubois points out, that includes things like club meetings that the public might not want to attend anyway. Reyes says he will talk to the College Republicans about what they can do to bring more students to the talk. He'll also discuss potentially having a live stream of D'Souza's talk available online. Reyes says he had no involvement in the decision to close the talk to the public, but that the primary commitment is educating students, not the community of Spokane. Meanwhile, Cates says her phone has been ringing "off the hook" with people wanting tickets to see D'Souza at the April fundraiser. "I knew he would have broad appeal with a lot of people in our party," she says. "He's definitely had a relevant voice when it comes to presidential politics."